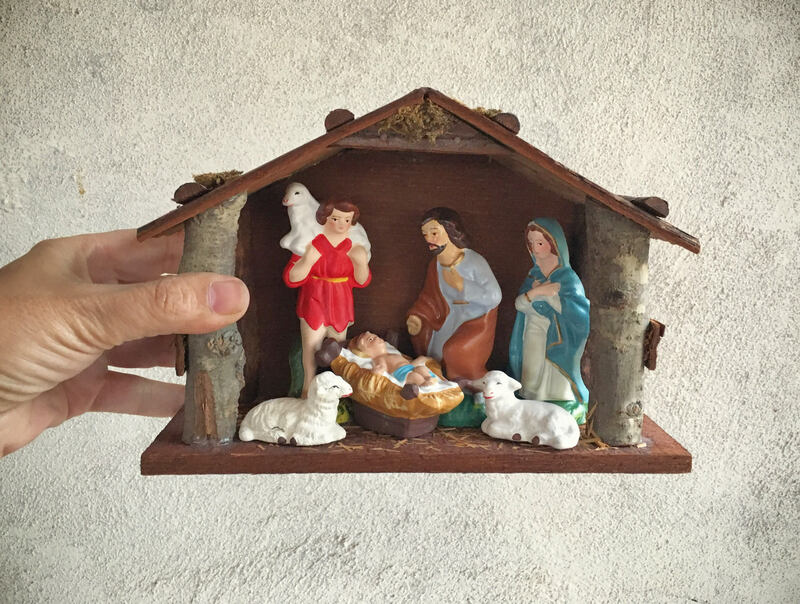 This Nativity Set is Made in Japan, which dates it to around the midcentury. 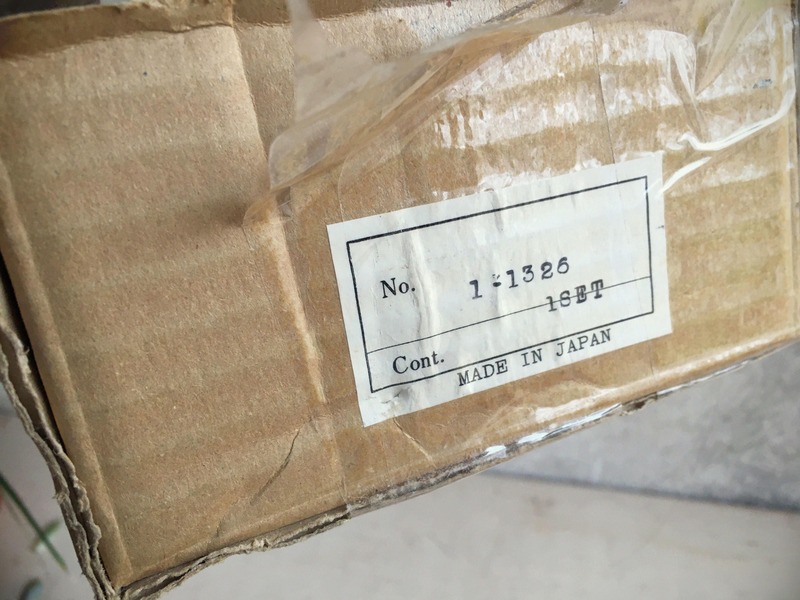 I found it in its original box, and so the ceramic figures are all in good condition. 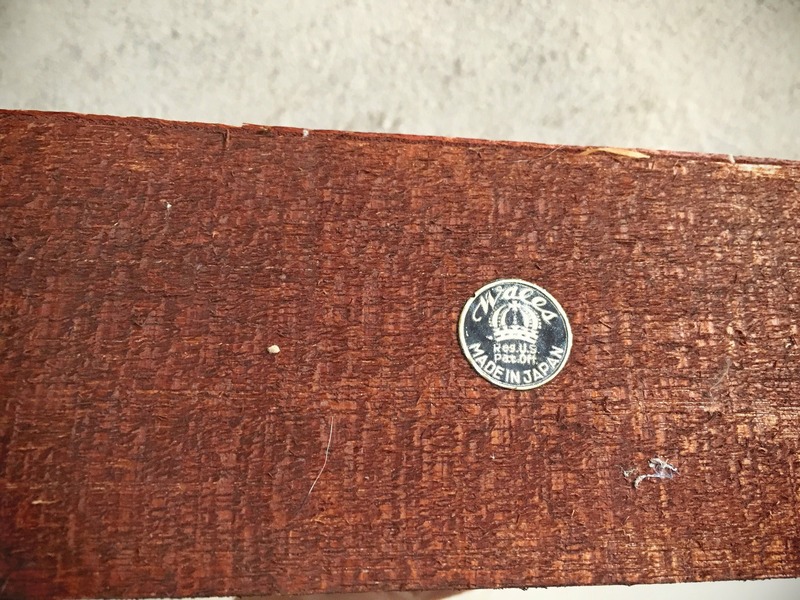 The manger or stable does have some wear, as the glued on organic bits have dissolved or flaked off over the years. 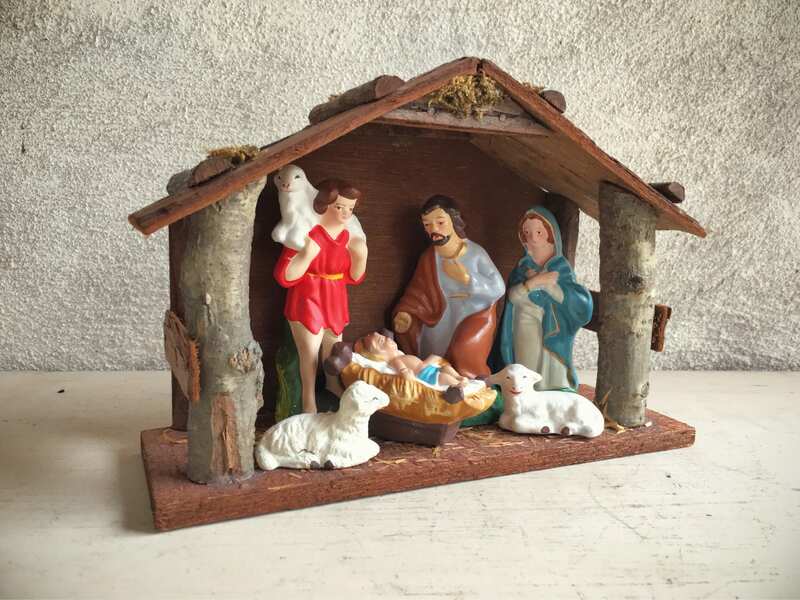 The figures all appear to be original, although one of the sheep appears to be crèche and while everything else is ceramic. Stamp is very similar, however. 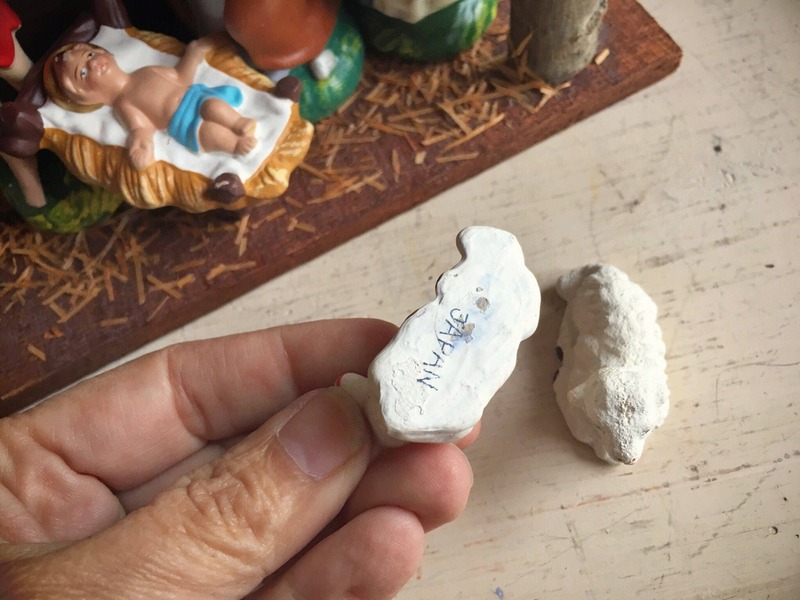 Six figure, seven pieces total including the manger. So easy to pull out and set up, and perfect for a smaller space. 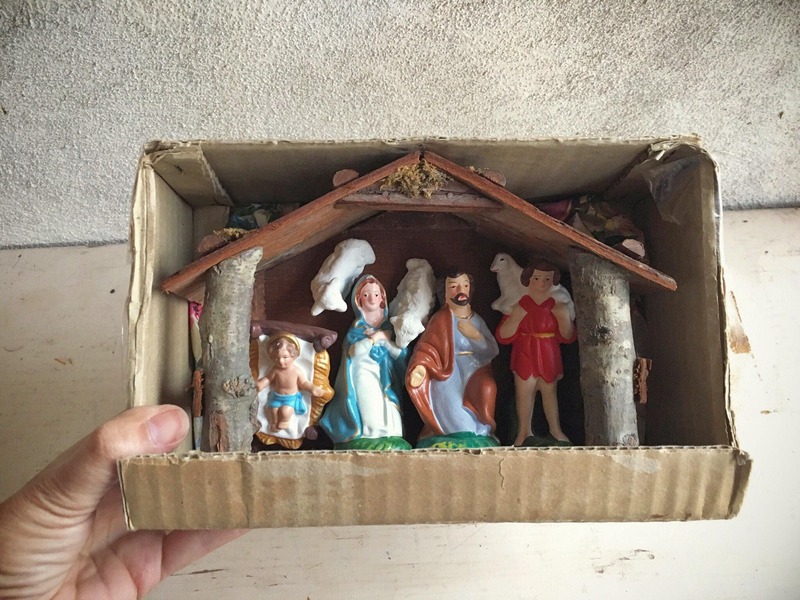 This box that holds the Nativity set measures just over 9" wide by 6" tall and 3" deep. 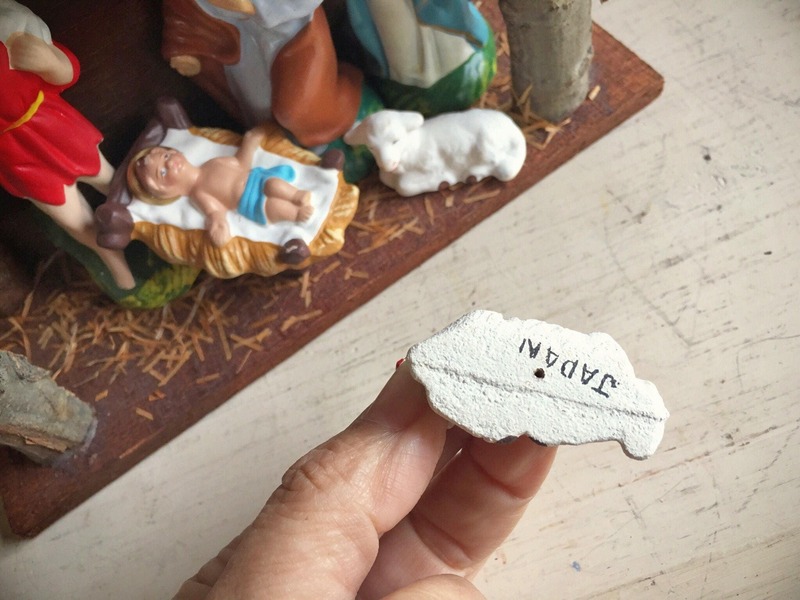 The manger is about a half inch to an inch smaller all the way around. The tallest figurine is 4" tall to give a sense of scale. 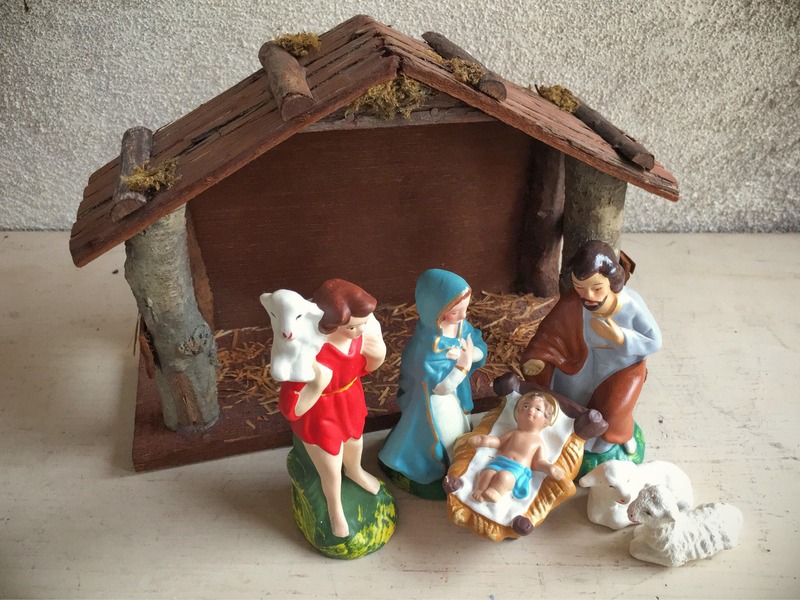 A Nativity set reminiscent of the past.